"True Prep," written by Lisa Birnbach (with great illustrations by designer Chip Kidd -- yes, that's his real name), is the follow-up to "The Preppy Handbook," the guide to everything prep that Birnbach wrote 30 years ago. The update still helps the reader how to navigate (or avoid, if you're so inclined) the world of prep, and it's packed with facts, lists, interviews, and hilarious send-ups of what some might call Preppy Sacred, like the dress code. My Top-Siders may be long gone, and I no longer own even a single LaCoste shirt, but I still have a thing for argyle, pearls, and other prep accessories. You can take the girl out of the world of prep, but I guess you can't completely take the prep out of the girl. Preppy update: But what's new? Growing up in Princeton, N.J., in the 1980s, my friends and I turned to “The Preppy Handbook’’ for advice on fitting in. We had the Top-Siders (laces permanently knotted), the wide-wale cords (jeans were against the dress code at school), and the Lacoste shirts (collars popped, of course). I’d go on, but I became a journalist and eventually lost my preppy pedigree. It’s been 30 years since “The Preppy Handbook’’ came out, and times have changed. Or have they? 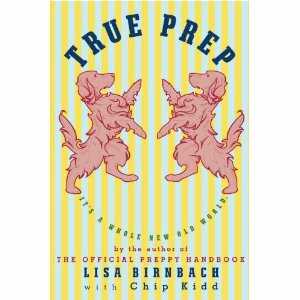 Lisa Birnbach revisits all things prep — this time with designer Chip Kidd — in “True Prep: It’s a Whole New Old World,’’ offering guidance for a new generation of preppies and a handy reference for those seeking to become (or avoid) one. First, let’s be clear: Preppy is a lifestyle. There’s a kernel of truth in the first chapter (“Manifesto: What’s it all about, Muffy?’’): “It’s about ease and confidence. It’s about fitting in when you do and even when you don’t.’’ Beyond that, though? “True Prep’’ is a hilarious send-up of the frills and foibles of the elite and privileged. It’s satire, of course, but it’s cringe-inducingly on target at times. It’s a bewildering, technologically advanced world out there, but Muffy can take comfort in knowing that some things are still the same. The dress code for that newfangled casual Friday at work, for example, is only slightly different from a standard preppy Saturday; remove the impeccably dressed “portable child’’ from Mom’s — sorry, Mummy’s — grasp and substitute a briefcase for the tennis racquet and a coffee for the gin and tonic and dear old Dad is ready to go. 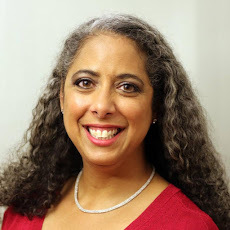 Not-for-profit jobs are still more prep than private-sector jobs, because, as Birnbach points out, “Any job that has a vaguely helpful purpose is preppier than a job that is just about earning money. (Earning lots of money is fine but a little bit obvious and therefore embarrassing. )’’ And the cardinal rules of prep still hold true: No talking about money, all of the family photos go on the piano, fly coach unless someone else is buying the ticket. Scattered liberally throughout “True Prep’’ are reams of real-life prep-world trivia: Who went to school where; a state-by-state guide to the best vintage stores in the United States (both Boston’s and Cambridge’s Second Time Around stores make the list); and recipes like “The Ultimate New Canaan Nibble’’ (Ritz crackers + cellophane-wrapped cheese slices + a dab of yellow mustard) for when the cook is away. Interviews with people who are unexpectedly preppy or who have had an impact in the world of prep, like David Coolidge, the Muslim chaplain of Brown University, and the Murray brothers of Greenwich, Conn., who started the necktie company Vineyard Vines, are truly interesting. And wannabe preps know that this book can be your modern-day preppy bible: It has a master reading list, a guide to loafers and trench coats, suggestions for thank-you notes for all occasions, and even a fill-in-the-blanks eulogy that can be customized as needed. Muffy, I think you’re going to be just fine. Review © Copyright 2010 Globe Newspaper Company.